Repair permissions and stuff and install normally picking 'generic extra folder' in the install. In fakesmc info.plist -> change "smc-name" to "smc-huronriver"
* This will generate an ssdt with the ivy bridge work arounds. Without the work arounds, you're cpus will be stuck at "x8.0" all of the time. 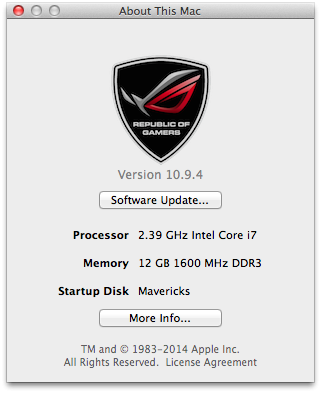 For unknown reasons, using the iMac 12,1 smbios (with proper smbios and graphics kext patches outlined above) is the only one we've found to work well. Macbook pro and mac mini smbioses both lead to complete system lockups when running flash or quicktime videos and the iMac 13,2/1 smbioses work most of the time, but will lead to random and unpredictable system freezes. 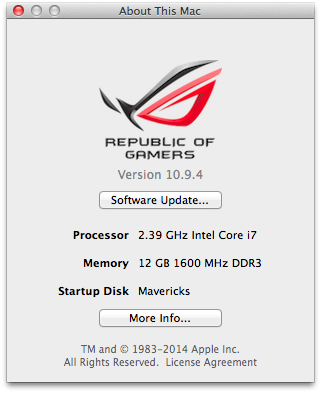 According to Intel, ivy bridge is backwardly compatible with sandy bridge which is why this works well. 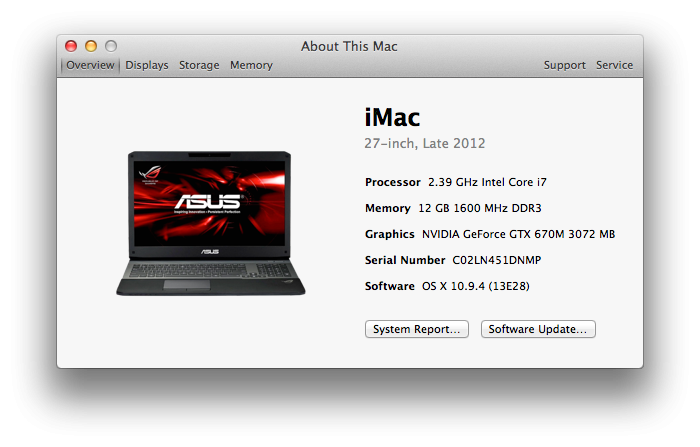 Ivy bridge is only a smaller, slightly more power efficient/slightly more powerful version of sandy bridge. There's not much of a difference between them. After the system is booted, plugging a monitor in via VGA doesn't work. However, if you plug the monitor in via VGA and THEN boot, it shows up and works fine. Then you can unplug and plug it in later after that boot is finished. I've been unable to boot to any gpt partitions besides windows on internal hdds. 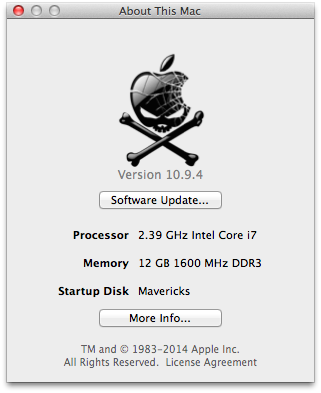 I've read that it is a bios limitation but others have reported it working with osx. Still under investigation. Make a backup of the original file if the picture doesn't suit your tastes. If using another smbios, just copy the name of the file you wish to change and place in the folder mentioned. Of course back up the original if you don't like them. One problem though: After install, it hangs at pci config end. I've tried the npci flags but they didn't work. This is a problem with some extra thing the myhack installer does because this doesn't happen with the uni_beast method. I also declined to remove any of the "problematic kexts" as they don't cause any problems for me. Any suggestions to what the issue is? After a bit of a hiatus from this, I've finally had the time to get back to getting everything working. I've updated my first post with lots of updates including fully working sound (subwoofer and everything) thanks to some help from slice at insanelymac forums. I've gotten back to comparing myhack to unifail and I somehow overlooked the most obvious thing ever. In the e/e folder on the unifail pen drive was GenericUSBXHCI.kext. I need that because I have all usb 3.0 ports. I put that kext into the e/e of the my hack pen drive and it now works without a hitch. After solving a black screen issue (GraphicsEnabler doesn't appear to work properly in yosemite), I got yosemite installed. Updated the guide.